Gain access to 10 'Journal With Me' episodes on a clean, easy to navigate classroom. Text descriptions and tips are included in each episode as well as a list of linked supplies used. View large, juicy photos of my pages and spreads. 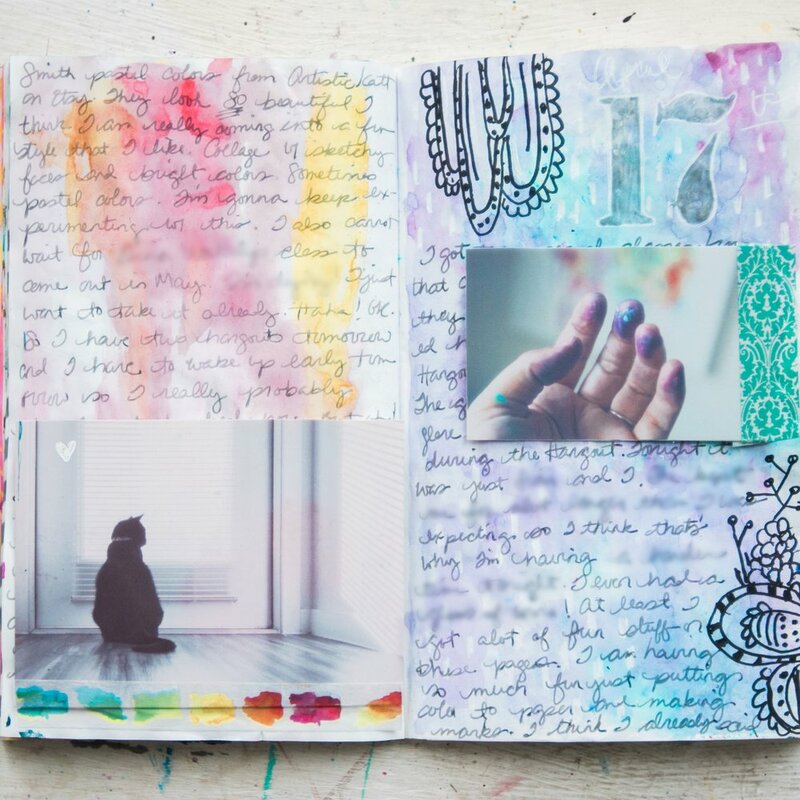 Your journal should reflect your perfectly imperfect life. For so many years, I had to have things 'just right.' This perfectionism hindered so much creativity in me and I have been on a journey of letting go that I'd love to impart to you. Sloppy success truly is better than perfect failure and I hope to show you a freedom to play, explore and push the limits with your journal and supplies. In these videos you will see me do just that. Sometimes my ideas work out and sometimes they go terribly wrong, but my desire is for you to see that it is OK. That an idea gone wrong is just another learning opportunity. My goal is that you feel freedom to play like a child and discover new territories of your unique creativity. Many of these videos have a laid back, "hang out" feel to them. Where I show you, in real time, my process of creating a colorful background to frame the words of my heart. 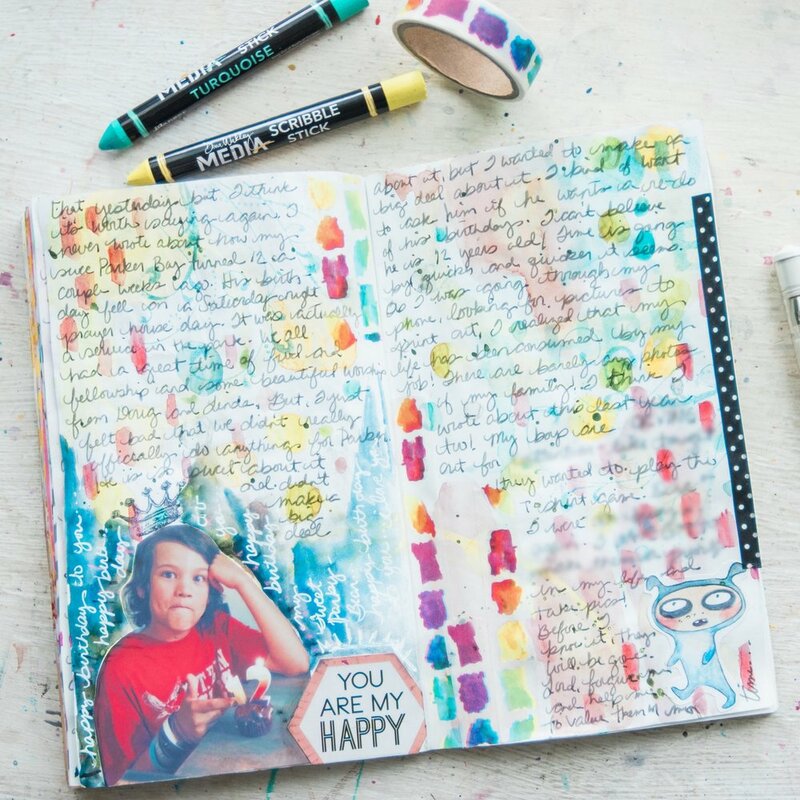 You hear my thoughts out loud on why I come to the decisions I make in my journal. 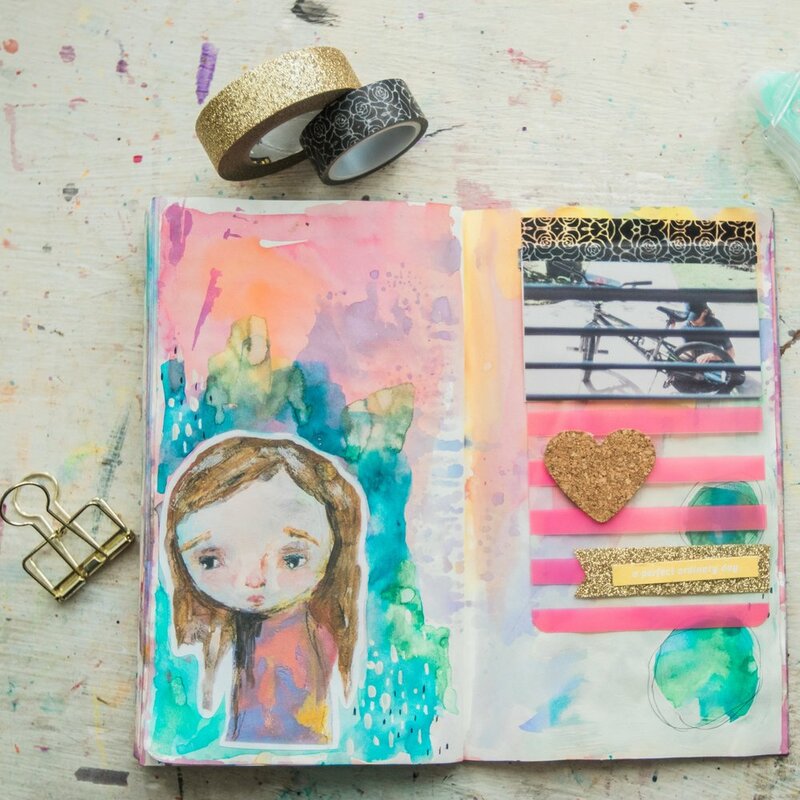 Grab your journal and have some creative play time as you watch my pages come to life. I studied art & design in college and then Real Life happened and while I kept up my textiles work I lost my way with painting. I’ve been pinning images of art journals and watercolours for YEARS and never felt confident enough to put brush to paper - and I studied it! This video bundle made it so straightforward to fill the gaps in my art supplies (that I now get were stopping me from being able to layer mediums well) and gave me just the right amount of techniques to try out myself without being overwhelmed. Your warm manner made it so approachable to just give it a go, and sharing your personal journalling pages stopped me from being so precious with my art and putting it on a pedestal, and allowed me to free up my hand. I’ve already started prepping an insert I was just going to throw away, and completed 3 spreads from start to finish, layered and added ephemera I’ve had for 10 years. And it feels amazing! I’m planning to start photo journals for my kids next, because I feel confident enough now that my work is good enough to be kept. Thank you from the bottom of my heart, and please please do more bundles!